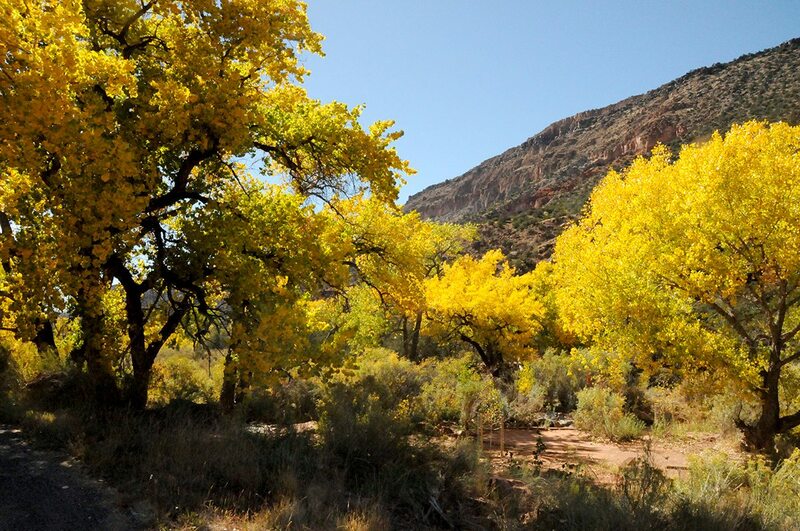 New Mexico is blessed with more than 300 days of sunshine, and the mountain village of Jemez Springs, at 6,200 feet elevation, is no exception. 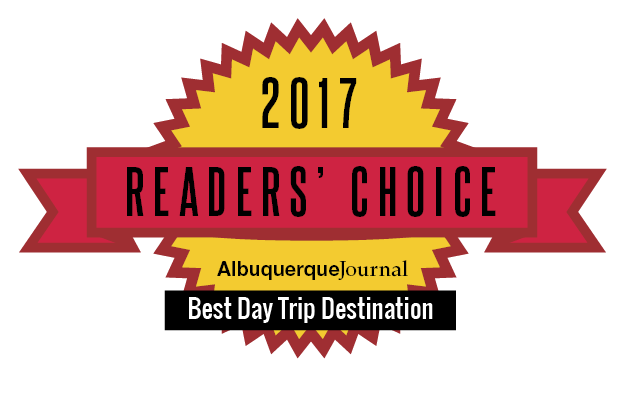 With cool mountain temperatures in the summer and access to hot springs during the cold winter months, Jemez Springs is sought out year round. The first frost in Jemez Springs typically occurs in mid-November, with snow storms possible throughout the winter and the last frost through mid-April. The average coldest month is January. In summer, sporadic mid-afternoon rain showers typically occur mid-June through the end of August – New Mexico’s “monsoon” season. Typical daily temperatures average in the high 80’s with the warmest month being in July. When visiting Jemez Springs in summer, it is advisable to have plenty of bottled water on hand and layer clothing. Likewise, be prepared for cold temperatures in winter and, if soaking in the hot springs, stay hydrated. Weather conditions can vary widely throughout the Jemez Valley – much depends on altitude and location. You can see local weather history (no forecasts) via the Western Regional Climate Center in Jemez Springs, courtesy of the Valles Caldera and Desert Research Institute.